Luz Alejandra Lovern, eating apple at Vintage Pilates after amazing private session with Dena Drotar. 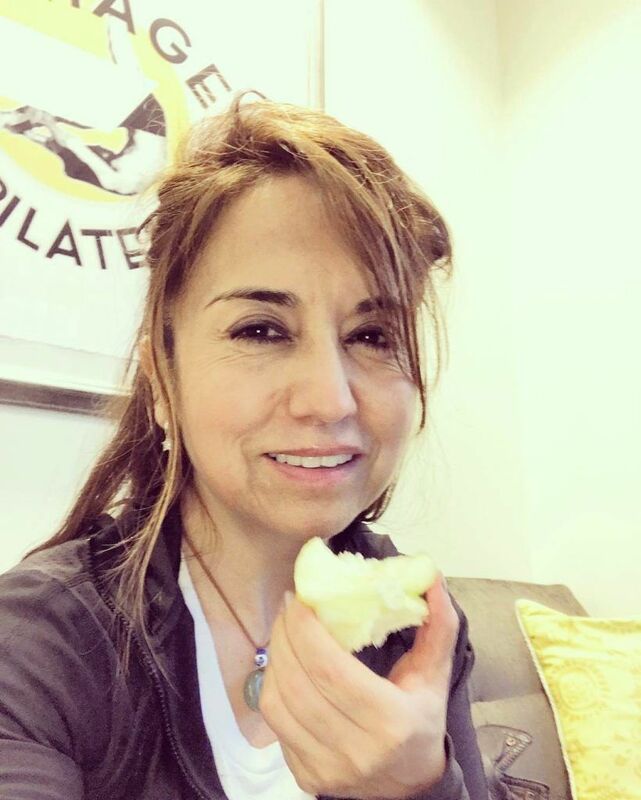 I am Luz, my human nature is expressed in my work and personal life, “Luzlife is the way of life”, finding my connection has kept me sane for the last ten months. My entire life has been in constant change, chaos, pain, emotional and laying to rest the love of my life. Losing my love one has changed my entire life and I must remind myself still. “A little bird blue eyes; told me that this is my time”! 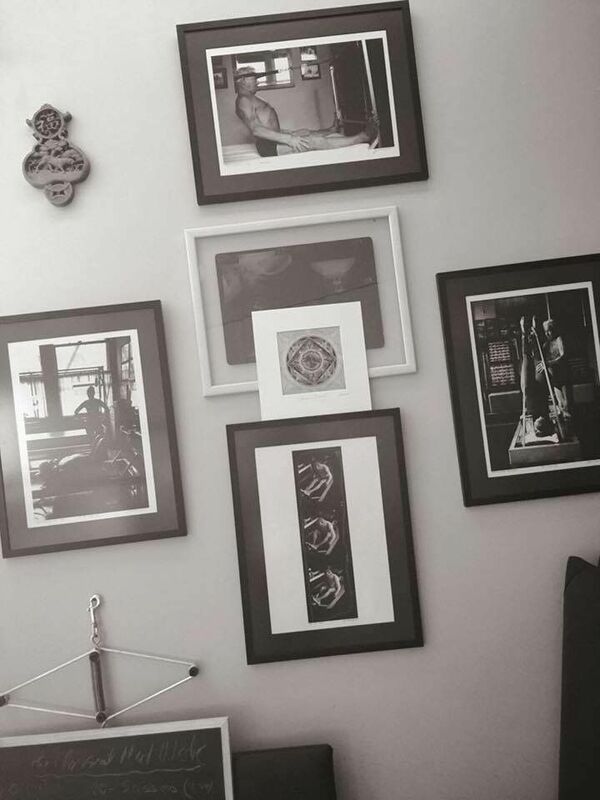 Picture belong to Vintage Pilates, posted in media now. Welcome Luz with a big smile and hug! 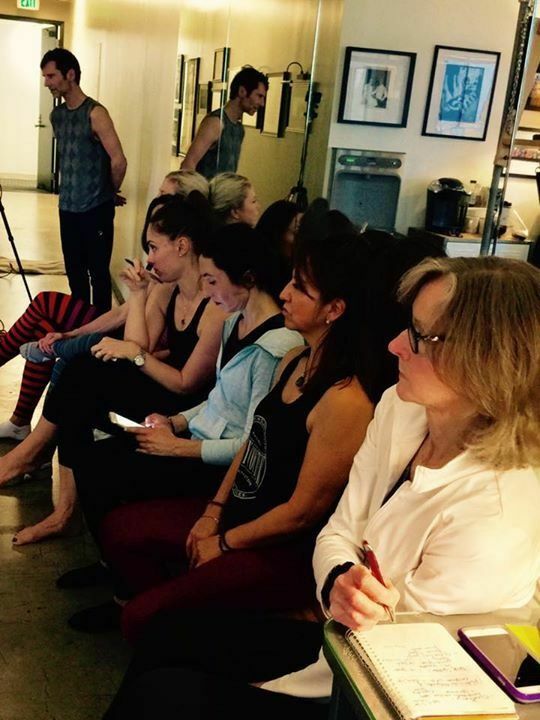 Thanks to Vintage Pilates for reaching out for me; special Thanks to Sandy Shimoda and Dena Drotar and the Teachers of Vintage; for gave this opportunity with private Pilate lesson last Friday, it was very special. 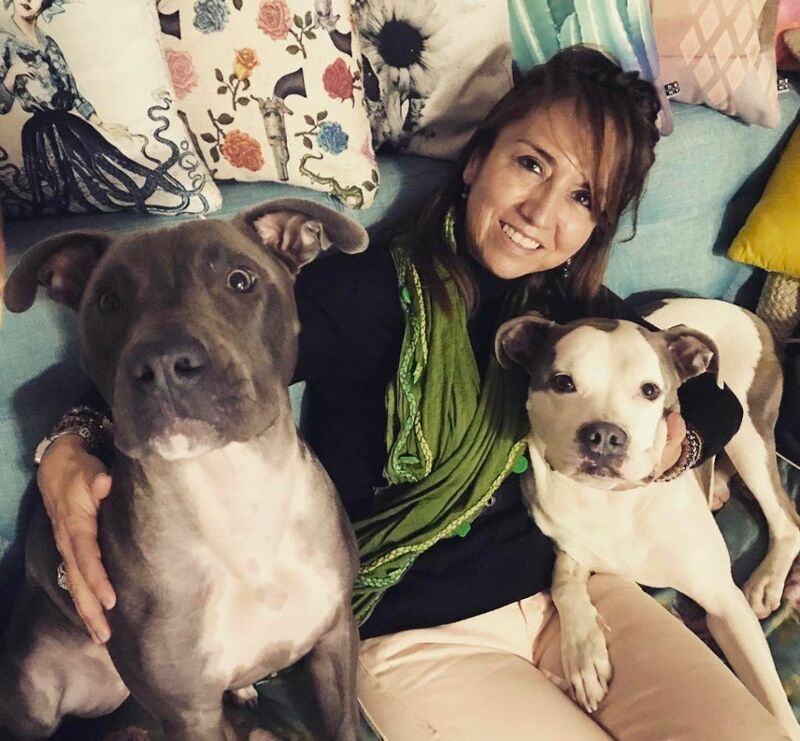 She helped me connect with energies that were in my body, that I was not able to feel myself. As she said, “I want to see how your body is moving” and she helped me without hesitation. Where and when I must go… energetically my workout on the Classical Reformer equipment was intense and my emotional and muscular stagnation began to fade away. My lower back is free, my knees and joints moisturized. This released the blockage in my body, mind and soul. Time to feel like a kid again! Upside down on the Cadillac equipment! Yes, my favorite exercise, I can do at my home studio, some of my equipments are still in storage, working out and teaching is my joy. Picture belong to Vintage Pilates; publicated at the media now. Big hugs and much love around me! when I see my lovely friend Andrea Maida, and meeting Nicole Marcione was a pleasure. Telling everybody that my teacher and friend, Amy Kellow, has been not just my teacher but also, my true friend! They made me feel loved and strong with hugs every day. Kindness from my new friends and with them supporting me with warm messages, open heart and crystal eyes made me feel special. Going to fly! Time in my class with Mr. Jay and other wonderful students! I decided to do my best and trust in the universe and it was fantastic! Beautiful feedback from Mr. Jay that change my entire energies for sure! Special Thanks to my Pilates new friend Carmen Slater Lanteigne and all the wonderful group of teachers of Vintage Pilates, and all the students that we where at this time. Sharing the passion and share our life at this present time. Big hugs to all and thanks for such a beautiful heart. Remember Loving Kindness First then MOVE! “I have faith in you,” he said and it’s more important “you have faith in yourself” “You look more strong! More beautiful feedback! I told him, I am a survivor and I am here to do my best! This is my inspiration and way of life today! How is your neck? Mr. Jay took time to ask me and explain to others students about the metals and screws, I have in my cervical spine. Telling me to “relax and use your stomach”, he kept repeating relax at the same time he was using his hands in helping me understand my body. Realizing my emotions brought me to tears, which help release the pain inside of me. It was as if he pushed some button that flushed away the stagnation, wonderful feeling! My motto: my health myself; remember I am a survivor! I must love myself first! Yes I am! Get the recognition from my teachers, especially Mr. Jay Grimes, my gift! Meeting new friends and supporting group! What a magnificent group of human beings and expert professionals. I was able to work at this time! I am grateful to meet special people, which encouraged my present, with great ideas and beautiful energies and positive feedback. Thanks to all that crossed my path these days and please, keep sharing the good work and open heart. 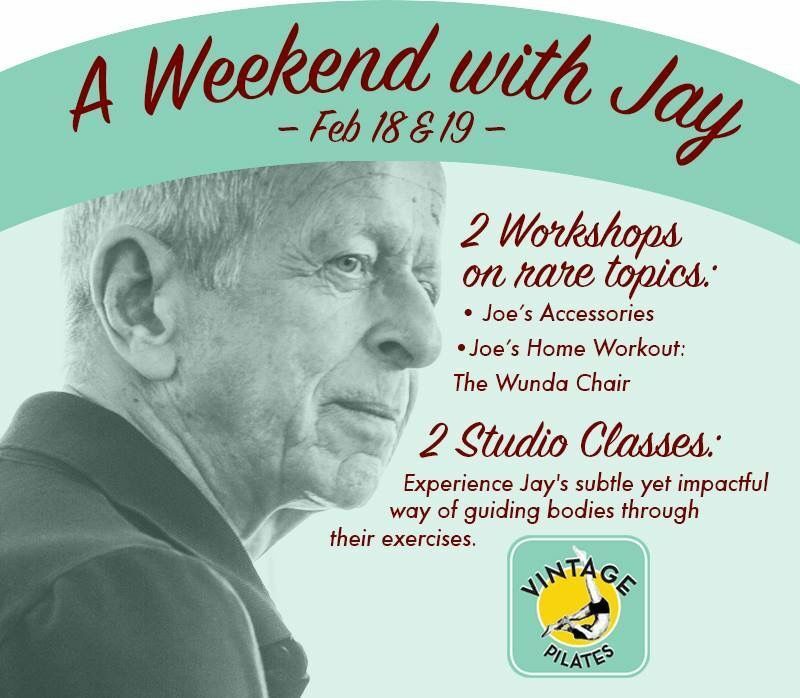 To spend the weekend and participate at Jay Grimes Workshop the first about Joe Pilates and genius mind invented the small apparatus to help us and keep our body strong. The Wunda Chair, The magnificent of Joe Pilates reflected in Jay Grimes and yes totally agree not all the exercises are for our size or type of bodies; we just need to be tentative and focused to do what is fell good and leave our body free of stagnation and in balance; using the whole body to stay connected. After all the most important is learning to breath correctly and remove what not belong to our lungs! that was amazing! focused in the real and simple as Joe Pilates wished. 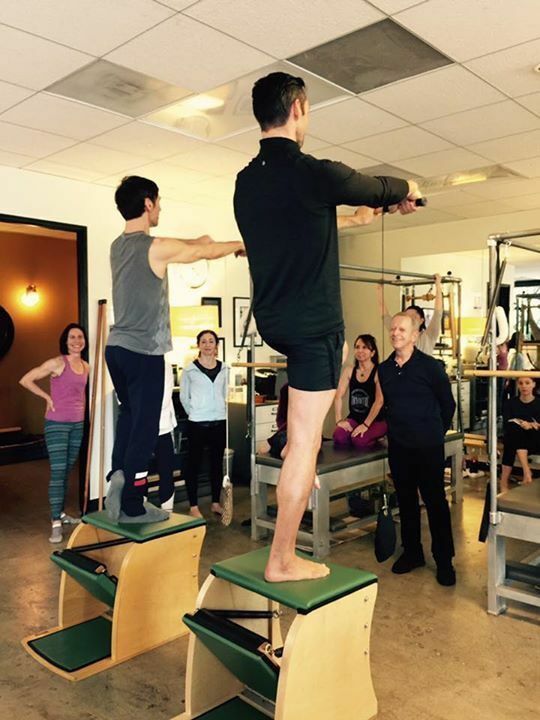 Thanks Vintage Pilates, Jay Grimes see you soon! My Pilate Journey today after the storm… is all about to believe in myself again! Luz you are such an inspiration on so many levels! I’m so happy for you that pilates brings you joy that is needed right now.